A PLACE south of the country that’s rich in art, music, food, culture and faith--Cebu City is like a multi-faceted exhibit which locals can be proud of and tourists can revel in. A mainstay and one of the highlights of Cebu culture is the world-renowned Sinulog festival, when thousands from different parts of the world take part and celebrate. As the third Sunday of January approaches, various activities and observances would take place. 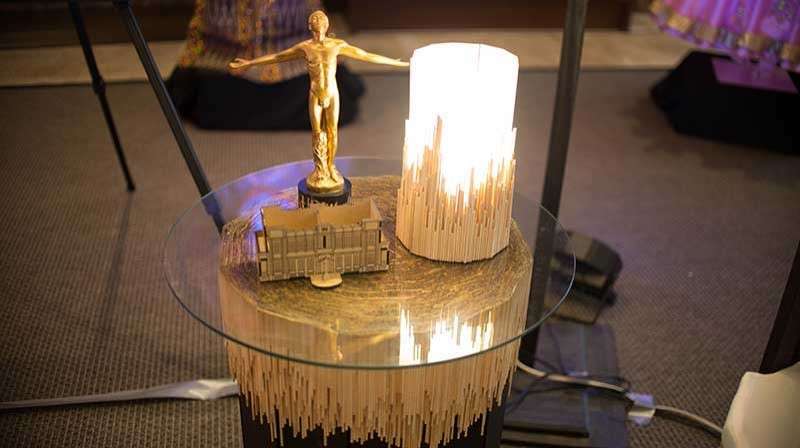 “Mugna” which means “creation,” featured a unique display of paintings and furniture prototypes created by the Fine Arts Studio Arts and Product Design students of UP-Cebu. Three graduating students participated in the exhibit: Alyssa Selanova (Studio Arts), and Charlo Icot and Jeremy Lora (Product Design) of UP-Cebu Fine Arts Program. Intricate designs from the University of San Jose-Recoletos and Cebu’s own Malayka Yamas, whose costumes were worn at international pageants, were also on display. 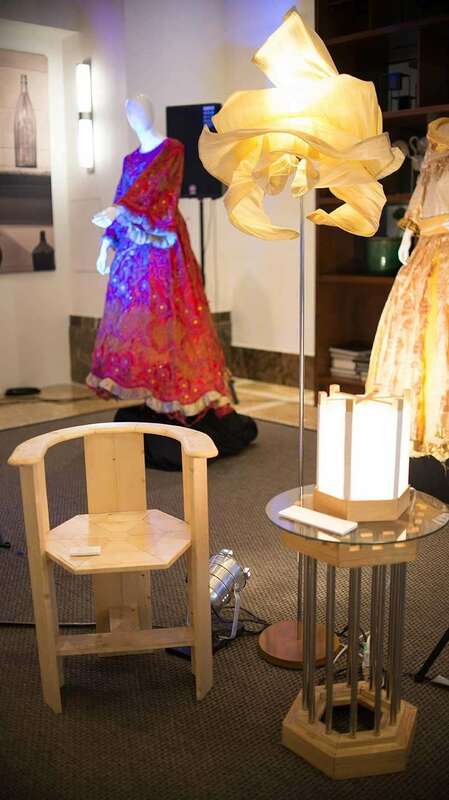 The works exhibited were composed and crafted by the students at UP-Cebu’s shared service facility called FabLab or Fabrication Laboratory. It is now on its third year, in partnership with Department of Trade and Industry (DTI). “While this promotes the Fine Arts program of the university, we hope to stimulate public reception and appreciation to art and design. This contributes to the continuing development of the creative industries in the region,” said professor Palmy Pe-Tudtud, OIC Dean from the College of Communication, Art and Design of UP Cebu. Apart from having a collaboration that matches the hotel’s seamless hospitality experience, it also hopes to support the local scene and encourages other corporate institutions to further do the same. 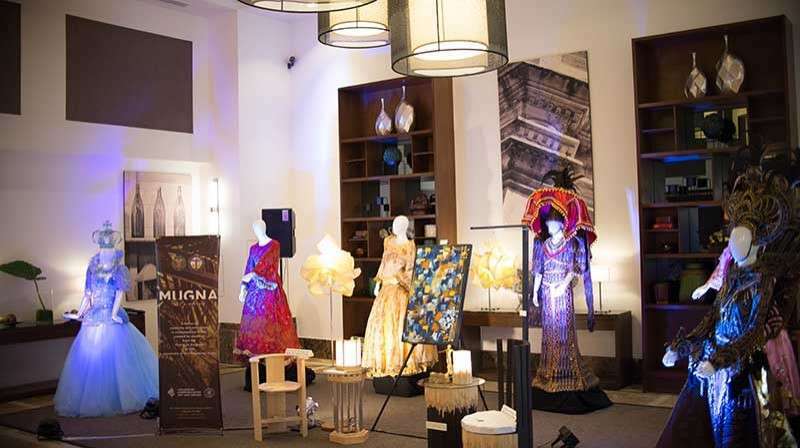 “Sinulog is also about the culture and what Cebu has to offer beyond the beaches, beyond the merrymaking, beyond the facade of Cebu; we have brilliant minds who can come up with things like these,” said Seda Ayala Center Cebu’s director of sales and marketing Frances Alfafara. “Mugna: An Art Exhibit” ran from Jan. 16 to 20.